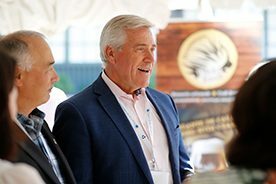 Canada’s Premiers are meeting for the 55th Annual Premiers’ Conference at the Delta Prince Edward Hotel in Charlottetown on August 28 and 29. 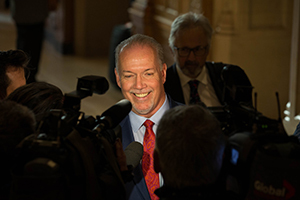 Premiers will discuss issues impacting Canada’s competitiveness, including facilitating internal trade and improving access to international markets. 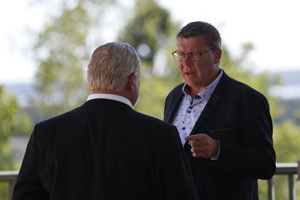 They will also consider challenges related to aging, ways to ensure Canada’s work force is well equipped for the future, and Canada’s fiscal arrangements. A news conference is scheduled for the afternoon of Friday, August 29 where the outcomes of the meeting will be shared. 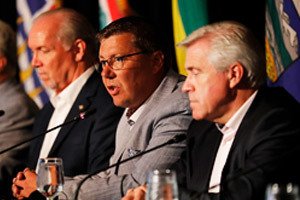 The Council of the Federation was established at a meeting in Charlottetown in 2003. It is made up of all 13 of Canada’s Premiers. 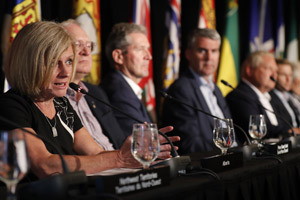 It enables Premiers to work collaboratively, form closer ties, foster constructive relationships between governments, and show leadership on important issues that matter to Canadians.